We may suffer betrayal from friends, family, coworkers, and even church members. However, the biggest betrayal is always from those we love and trust the most. Yet, we are called to forgive, anyway! Why? Because, we need it, and because we are imperfect, fallen, and full of sin. Even the Christian who is saved by Grace is still in the process of growth and sanctification. We are yet imperfect, no matter what the level of maturity. If you are thinking, I refuse to forgive, consider this reason to forgive. 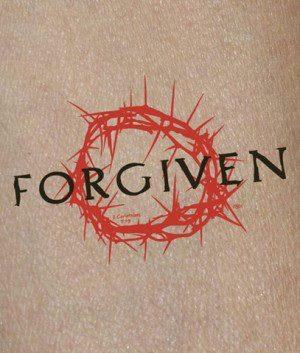 We forgive because God has forgiven us. If we do not, the resentment will build and build-like battery acid that slowly eats away a car-until, unless we fix it, it will destroy us. Even secular psychologists tell us that resentment is the most powerful, self-destructive emotion in our arsenal. Will you allow forgiveness to build and destroy the love that was kindled, take your relationship away and cause hurt to your family? If so, all that will be left is the building blocks of bitterness to destroy your family, other relationships and your life! God desires that we seek forgiveness, because God is a God of relationships, and is committed to relationships. God knows our human weaknesses and our self-destructive nature, and that our relationships tend to be fragile. Broken marriages come out of our sinful nature and our fallen world, which seeks its own gain. God’s desire is to show the world our potential. Because a happy, healthy Christian marriage is becoming more rare and thus more needed. Because of what Christ has done for us, we should not take pleasure in destructive situations, those that divide and draw relationships apart. 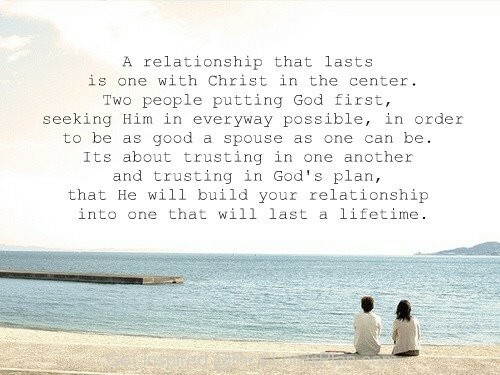 Relationships are what life is all about! A healthy marriage is the pinnacle of human relationships. Satan seeks to destroy marriage and pervert it with substitutions that only fester brokenness disguised as rights and victory. His first attempt was in the Garden of Eden, nearly defeating our relationship with God and with Adam and Eve and then with the rest of humanity of one another. God’s plan is to prove Satan wrong, and, our call is to build our matrimony and one another up, not destroy one another. When a spouse betrays and we have been wronged, we experience feelings of betrayal, and consider retaliation to be justified. God calls us out of retaliation and into reconciliation. Then we need godly council and help. Get it. Seek a qualified counselor to help you both through this. When we fail to forgive, we are the ones who suffer the most. Your spouse may betray, but then that betrayal is lived out over and over, it will never stop. They get on with life, and unfairly the victim festers with the wounds. Then, anger, resentment, shame, bitterness, contempt, and defensiveness all synergistically build on top of one another, so every segment within us is held hostage with these emotions. We are chained like a dog on a leash, unable to reach the destination we desire, what Christ has for us. 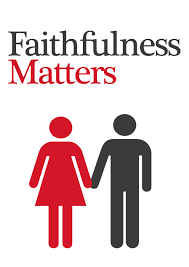 A healthy Christian marriage puts aside spiteful behaviors, and embraces our spouse in love. What comes out of love is the release of our feelings of hurt that builds a better relationship of mutual respect for the future. Do not allow the bitterness to continue so that it festers causing more harm, even corrupting the potential for forgiveness, moving to reconciliation and damaging your whole being. The bitterness must not take hold in your life, or it will block the flow of the Holy Spirit and self-controlling love. Or else, the festering will continue to the point that Christ is crying out to us in the wilderness, yet we do not hear Him. Our Lord is alerting us to the perils of being unforgiving, just as the call of red alert of impending danger. If we do not heed the warning, our emotions will run wild, and we will no longer have control or composure, unable to recognize who we are in Christ. We will not be able to listen, solve any problems, or clear up misunderstandings. Thus, the anger and the uncontrolled emotions will become controlled by Satan. The red alert has been ignored, and our family has been destroyed! Your relationship(s) have been destroyed!